For a condition that affects the feet, Morton’s Neuroma, you’ll need the right pair of shoes to help you in reducing such pain. Imagine how hectic it can become having to go to work or doing your daily routines on feet that are paining. You may find yourself getting exhausted fast or losing the morale to do just a simple routine like walking, jogging, or running. It affects women more than men. Especially women who occasionally wear narrow, high heeled shoes. With that much said, let’s get started with the definition of Morton’s Neuroma and what causes it. What is Morton’s Neuroma and How is it Caused? How to Choose the Best Shoes for Morton’s Neuroma? Morton’s Neuroma is a condition that makes your nerve tissues to thicken or in other words, a noncancerous growth, and occurs mostly between the fourth and third toes in the foot. A condition that leads to swollen nerves found in the ball of the foot and this explains why people suffering from Morton’s Neuroma have bent-like and swollen feet, especially at the ankle level. Common names known to describe this condition are Morton’s disease, Morton’s metatarsalgia, Morton’s nerve entrapment, Morton’s neuralgia, intermetatarsal neuroma, and plantar neuroma. If you find any of the names describing a foot pain, it’s all but the same thing as Morton’s Neuroma. Some of the symptoms include pain and numbness in the affected area, which is usually at the feet, toes may thicken and lead to a sharp, burning pain when wearing shoes or during a regular walk. Outward signs such as the formation of a lump in the affected area, but it’s a rare case. You can experience paresthesia – it includes numbness, pricking, and tingling, and you may feel a sensation that comes and goes in the ball of the foot. Sometimes people don’t experience any symptoms at all, and the only way to know if someone has Morton’s Neuroma is through conducting MRI scans that reveal the presence of lesions of the condition. The chance of getting this condition is always minimized by choosing to wear best shoes for Morton’s Neuroma. Let’s get you started with what causes Morton’s Neuroma? According to experts, there is no specific cause for this condition. It appears to advance as result of injury, pressure, or irritation to one of the nerves in the toes and this triggers a response, which leads to thickening of nerve tissues. High-heeled shoes/tapered toe – That are over 5 cm, or with a tight or pointed toes box that squeezes the toes entirely together. A more valid reason why Morton’s Neuroma is common in women than men. A bunion – Can form at the base of feet toe which makes the joint to enlarge due to a localized painful swelling. Injuries – Any outward or internal injury or trauma on your foot can lead to a neuroma. High-impact sporting activities – They may include doings such as running, playing soccer, tennis, and basketball, or practicing karate. It merely means any sporting activity that exerts pressure on the feet may cause Morton’s Neuroma. High-arched feet – leading to the excess weight being subjected on the ball of the foot when standing or walking. Flat feet – It’s where the entire shoe sole comes into complete contact with the ground and leads to discomfort as you walk or run. Hammer toe – A deformity may occur within a joint of your toes. It leads to a temporary or permanent bent of the second, third, or fourth toe. How do doctors go about treating the neuroma? After diagnosis by pressing on your foot and performing several physical exams such as MRI scans, X-rays, and ultrasound, they can comfortably choose the best method to treat and prevent Morton’s Neuroma. It’s like a therapy where you place footpads and arch supports inside your shoes. It helps to reduce or relieve excess pressure on that nerve that is affected. If the symptoms persist, then there will be the need to move to a more aggressive treatment. They include resting your foot, applying ice to the affected area, physical therapy, foot massage, foot exercises that involves stretching, and wearing best shoes for Morton’s Neuroma. Your doctor may advise you to take OTC (over the counter) painkillers as well as nonsteroidal anti-inflammatory medications such as aspirin or Ibuprofen. Also, the affected area can be subjected to several injections with steroids to ease the pain. Neurectomy – The removal of the affected nerve to ease the pain. Decompression surgery – Cutting any structures or ligaments around the nerve to relieve the pressure. If you’re suffering from Morton’s Neuroma, getting the correct pair of shoes will help in managing discomfort as well as that pain you may be experiencing. To be on a safer side, here are some factors to consider when choosing the best shoes for Morton’s Neuroma. Get shoes that fit perfectly – You should acquire shoes that fit correctly and have enough toe room. You can test them by wearing and doing some walking, light jog, or even standing to see how they feel on your feet. We recommend you try out the Morton’s Neuroma shoes during the night when the feet are relaxed and typically bigger. Arch support – Invest in shoes that offer a high arch support on your feet to relieve the pressure on the nerves, acting as a shock absorber. Right size and adjustable fitting shoes – Get shoes that are the perfect size for both the right and left foot. The right foot size may vary with the left foot size, and you can go for a custom-made Morton’s Neuroma shoes. Ensure that the best shoes for Morton’s Neuroma have an adjustable fitting advantage. The shoe is not too roomy or too narrow to affect the integrity as well as the stability of the foot. We recommend having a footwear that you can adjust (straps, laces, etc.) according to your desired level of comfort. Custom-orthotics – Get shoes that are custom-made to ensure the provision of cushioning and padding to the affected nerves thus increasing the healing speed. Zero drop or very low shoes – Having shoes that are flat provides that you don’t subject your feet to excess pressure that may lead to Morton’s neuroma or worsen it if you have it. Wide-toe box shoes – It will offer adequate room for your toes not to squash them toes together and prevent force and direct pressure on the forefoot. The best shoes for Morton’s Neuroma provide the perfect wide-toe box. Throw away old shoes – Shoes that are already worn out should be replaced immediately. Getting a new shoe should be on your bucket list if you’re suffering from Neuroma. Here, I’ll take you’re through product descriptions, pros, and cons of best running shoes and best insoles for Morton’s Neuroma. As you have noticed, having the best shoes for Morton’s Neuroma is a precaution and preventive measure to adopt if you’re suffering from this condition. If you want an immediate relief from Morton’s Neuroma without having to visit your doctor, sit back and follow keenly on the shoes to wear. 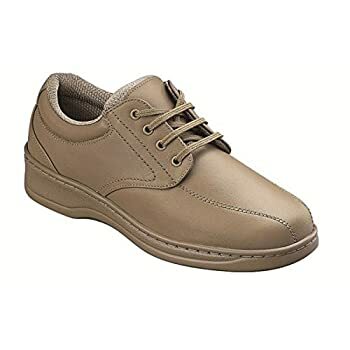 The Orthofeet Tahoe comes with a great design and is perfect for working, walking, or exercising. It’s one of the best shoes for Morton’s Neuroma that you can find on the market today. The Orthofeet Tahoe looks beautiful and classy, and apart from helping women suffering from Morton’s Neuroma, it’s the ideal shoe for women with diabetes. It has a padded heel seat foam and an orthotic support that offers protection from foot sores and boosts comfort in the foot. A feature that eases pain from the feet, hips, and lower back. Ensures that you can comfortably walk or run without worry of exerting a lot of pressure on your feet. Orthofeet Tahoe has lightweight soles that ensure you do your daily activities with ease and comfort. A broad toe box feature ensures you eliminate excess pressure on your feet and chance of bunions and hammertoes occurring, which causes Morton’s Neuroma, is reduced. The New Balance W1540V2 is the best running shoe for women suffering from Morton’s Neuroma for motion control. It has midfoot cushioning, and Rollbar feature that ensures the motion control is achieved. You’re sure to run for many miles when wearing this shoe and will help in relieving any foot pain. It comes with breathable mesh for proper ventilation and a dual-density collar that ensures a comfortable fit when walking or running and adds support to the feet. The W1540V2 has soft foam on the inside for maximum durability and comfort, and the cushioning reduces the excess impact on foot joints thus offers maximum protection. 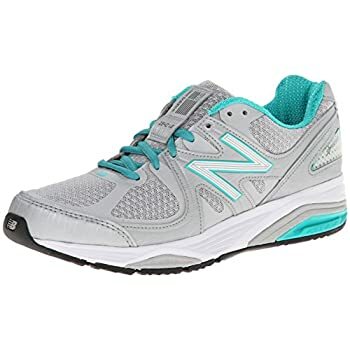 If you’re looking for a running shoe that has all features to help you with your Morton’s Neuroma, the New Balance W1540V2 is the perfect shoe to have. If you’re looking for the best shoes for Morton’s Neuroma for walking, the Orthofeet Lake Charles is the what you’re missing. 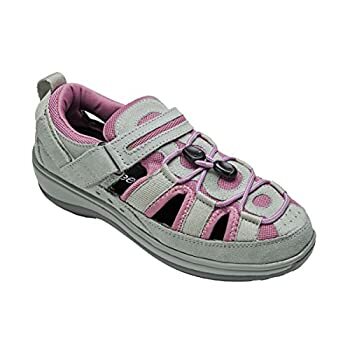 It comes with a non-binding fit, maximum protection against foot pressure points, and extra room for toes movement. A more reason as to why it’s the best shoe for walking. It has an ergonomic sole as well as an anatomical orthotic insole that offer maximum support and excellent cushioning that ensure you have the much-needed comfort on your feet. Thus it relieves any excess pressure exerted while walking. 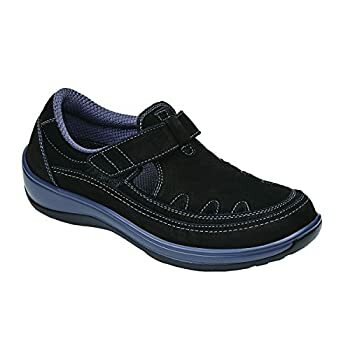 The Orthofeet Lake Charles is the best running shoes for Morton’s Neuroma patients because it offers perfect gait, extra-depth design for insoles, excellent arch support, and a good leather finish for maximum durability. A shoe that you can wear for any occasion, you may be attending such as a wedding or at your workplace since it blends well with different dress codes. 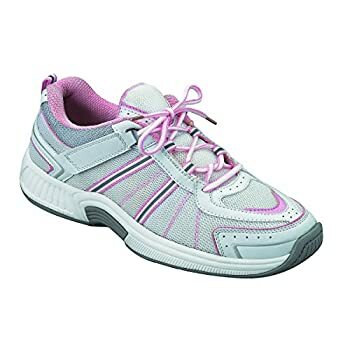 This Morton’s Neuroma Shoe for women comes with a lightweight sole as well as an air cushioning feature that ensures it softens your walking especially if you’re in pain. 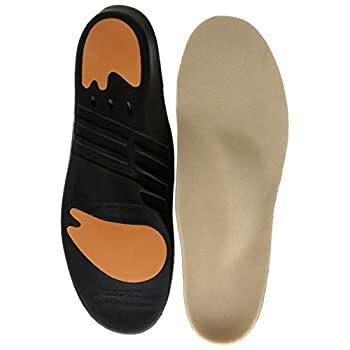 It features a gel padded heel foam, anatomical arch support, and a contoured orthotic insole that enhances comfort and helps in alleviating the pain from your feet. Worried about hammertoes and bunions that are some of the causes of Morton’s Neuroma, the Orthofeet Wichita is what to try. It comes with an extra-depth design as well as a wide toe box that ensure your toes are in a comfortable position. 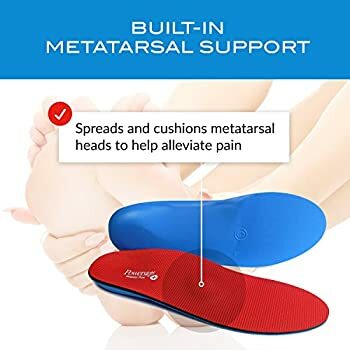 In addition to this, it has a soft padded interior that offers protection for sensitive feet and adequate comfort for people with Morton’s Neuroma. If you’re looking for the best shoes for Morton’s Neuroma, with Wichita, you have all the features to help you in foot pain regulation. Orthofeet Chelsea is a shiny Morton’s Neuroma shoe that is specially made for all your daily challenges such as walking, running, or even standing. Also, you can wear this shoe for official as well as private activities since its made from a shiny leather look that blends perfectly with all dress codes. It has an ergonomic stride that facilitates foot motion and enhances stability. Extra-depth, non-binding, and a wide toe box ensures that excess foot pressure is eliminated and reduces the chances of hammertoes and bunions occurring. 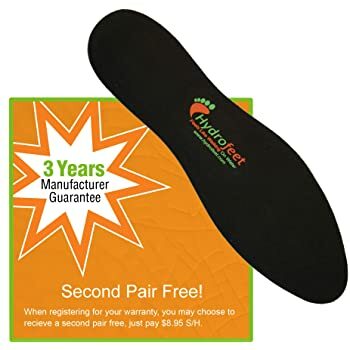 For maximum support as well as protection from sore feet, the Orthofeet Chelsea has an orthotic insole which eases pain from your foot as you stand, walk, jog, or run. The sole is very lightweight and has an air cushion to ensure comfort in every step you take. If you’re looking for the best shoes for Morton’s Neuroma that will serve on different occasions and comes in multi colors, this is the shoe to acquire. If you’re looking for the best shoes for Morton’s Neuroma that offers elasticity and extra-depth, look no further, the Orthofeet 851 is the right shoe. A pair that comes with an excellent strap and its stylish black made out of both leather and fabric to wear for an outing or private event. This shoe offers incredibly anatomical support that ensures you feel relaxed all day long and alleviates any pain on your feet. It provides a soft ergonomic stability due to the presence of a cushioned insoles, and this ensures you get maximum comfort when wearing the Orthofeet 851. Some features that stand out for this Morton’s Neuroma shoe are the unique orthotic support, ergonomic stride sole, and a seamless lining on the inside. 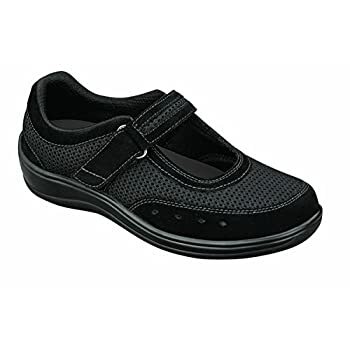 They guarantee an extra protection and comfort for sensitive feet. 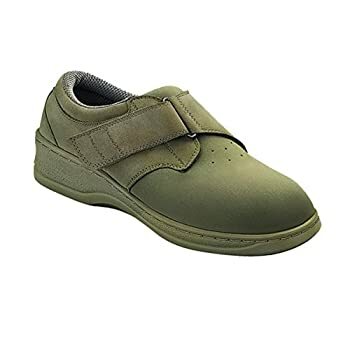 This is a shoe that can be used for any occasion and helps a lot when it comes to relieving foot pain due to Morton’s Neuroma. A perfect fit that you can walk and go to work or even perform house chores. They have a more secure trap and comfortable back which makes them fit well without slipping. The Orthofeet Springfield can help you in correcting your gait and offers impressive arch support. The Springfield is one of the best shoes of Morton’s Neuroma that you need to have and will help you in relieving foot pain. It has features such as lightweight and orthotic insole, wide toe box, and extra-depth that enhances stability and foot motion. A shoe that you can quickly put on or take off in less than seconds, the Orthofeet Charlotte has an open back. A design that makes it comfortably confine the foot. With the deep heel-seat and anatomical arch support that ensures foot pain relief, it’s no wonder these Morton’s Neuroma shoes are on our list. If you’re looking for the best shoes for Morton’s Neuroma, then the Orthofeet Serene is the ideal. It features a T-strap feature that is designed in such a way to offer a unique design that is comfortable and alleviates foot pains. Get this shoes that come with an insole that has features such as heel pain relief, comfortable arch support, unmatched cushioning, and anti-microbial fabric and foam. The Naples is designed to offer a sandal-like shoe that is the best solution for Morton’s Neuroma patients with extreme foot pain. It comes with a wide toe box, non-bidding upper, and extra-depth that provides protection as well as comfort for sensitive feet. To add this, it has a soft seam-free interior and comes in several colors such as gray, tan, blue, gray/purple and a wide range of sizes. The new balance was designed by pedorthists and doctors to improve stability as well as body alignment specifically. 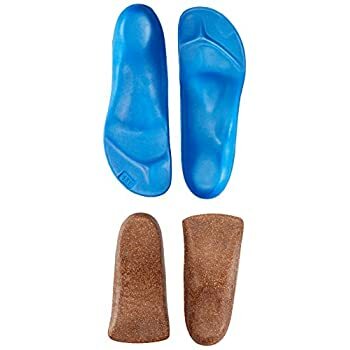 If you’re looking for a relief insole with met, then this insole is what to have and comes with feature such as Absorb cushioning, heel cradle, arch spot and fit most shoes. The best insole for Morton’s Neuroma that provides cushioning and support to your feet and it’s precisely made for sports shoes. The insoles are unisex, implying that they both suit females and males. The Powerstep plus is an insole that offers relief for soft to moderate overpronation, has antimicrobial fabric that lessens friction to retain feet coolness, and heel cradle for contoured stabilizing. It has metatarsal support to help in relieving pain from Morton’s Neuroma. If you want to feel like you’re walking on water by just wearing your shoe insoles, then you need to have the Hydrofeet Dynamic. It has anti-microbial and anti-fatigue features that make it one of the budget-friendly insoles with a liquid-like massage. 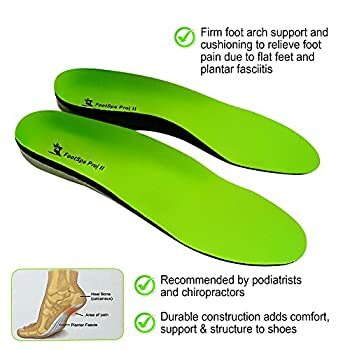 It is a very cheap insole that is made suitable for most foot related issues such as diabetes, plantar fasciitis, and Morton’s Neuroma. 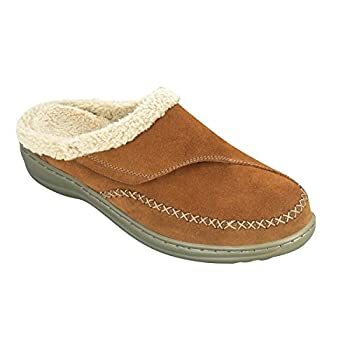 It comes with a reinforced arch support that provides comfort, support, and quick relief from foot pain. If you’re experiencing foot aches, the first prevention should be acquiring the best shoes for Morton’s Neuroma and adding the best Insoles for maximum comfort and arch support.